Plagued by potholes? Cambrian's Jeff Walker can fill you in on just what's going on beneath your roads. 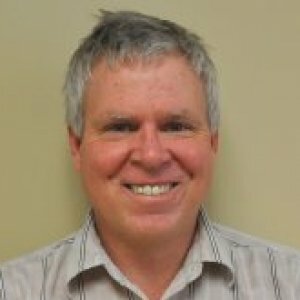 Jeff Walker is a professor in and coordinator of the Civil Engineering program at Cambrian College for 17 years. As a former plant engineer for a precast concrete manufacturer and a field engineer for a large construction company, he has a solid background in civil engineering. He is also involved in applied research at the College. 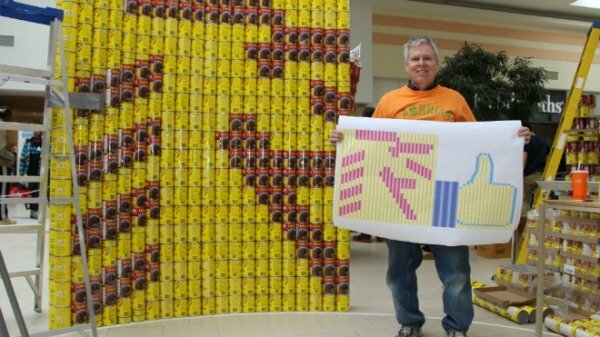 A community leader, Walker and his students participate annually in the Sudbury Food Bank's CANstruction fundraiser. In his spare time he coaches various sports teams in the Sudbury area. Walker is available for interviews on structural design and what causes infrastructure (buildings, roads, bridges, etc.) to deteriorate. A group of Cambrian College second-year civil engineering students are teaming up to build a minion from the movie “Despicable Me” – using only cans of food. Cambrian is entering three teams in this year’s CANstruction competition. They will be pitted against a team from Laurentian University’s School of Architecture. Each team received $1,000 with which to purchase non-perishable food supplies for their construction projects. All food and pledges will go to the Sudbury Food Bank. Jeff Walker was on CBC Sudbury's Morning North to talk about the 2014 CANstruction challenge for charity. Jeff Walker, a professor in the school of engineering technology at Cambrian College, told The Star potholes are an inevitable part of life in Northern Ontario. "Any water underneath the asphalt weakens the soil and when the traffic is going over that, the point loads of the wheels put stress loads on the road and create cracks," he explained. The heavier the vehicles that travel along an artery, the worse the wear-and-tear. Fatigue is a major issue, meaning heavily-trafficked roadways will likely be in worse condition over time. "The cracking continues to grow until chunks of the pavement start to loosen, and the cracks get bigger and bigger," he added. At least one member of city council is concerned about the city's railway infrastructure. Ward 4 Coun. Evelyn Dutrisac, whose ward includes the Elm West neighbourhood, asked Mayor Brian Bigger to write a formal letter to CN seeking a close inspection of the train trestle that crosses over Beatty Street. "Residents are very concerned about their safety due to the railway running throughout the city," she told her counterparts at Tuesday's meeting. 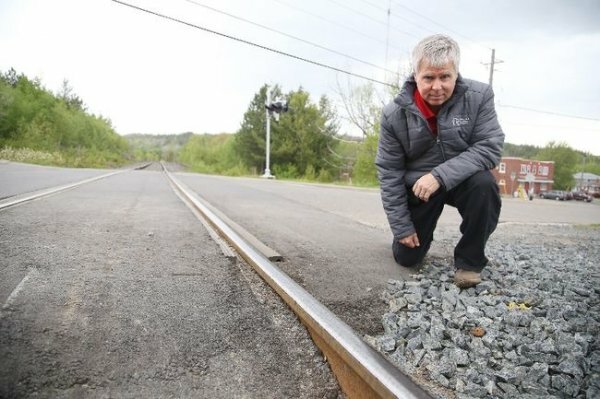 Some of those concerns stem from a May 23 article The Star published on the CN line that runs along the Nolin Creek trail system, through the Elm West, Donovan and Flour Mill neighbourhoods, and then continues through parts of New Sudbury. "I've talked to quite a few residents of Anderson Avenue, and I've also spoken with Jeff Walker, who's the structural engineer and co-ordinator of the civil engineering technology program at Cambrian College," Dutrisac continued. "That's why I'm bringing forward the notice of motion, but I'm hoping we'll waive it and have the mayor's office send a letter." During a walk-about with The Star, Walker expressed concerns over the state of the trestle, as well as some parts of the railway. "There's some significant corrosion," Walker told The Star while inspecting the base of one of the columns supporting the trestle. "This entire vertical structure is the same. It's not just one side (one column). That is definitely a weakness in the entire structure. Your bolts and nuts -- the stuff holding it down -- these have significant corrosion. This is worrisome." According to the motion, the mayor will send an official letter to CN requesting an inspection of its tracks and structures, with copies also addressed to Transport Canada, Nickel Belt MP Claude Gravelle, Nickel Belt MPP France Gelinas and Sudbury MPP Glenn Thibeault. It stipulates that a report detailing the inspector's findings be sent to the city. The tracks show some deterioration, but it is the trestle crossing over Beatty Street that really troubles Jeff Walker. "There's some significant corrosion," Walker, a civil engineering professor at Cambrian College, says as he inspects the base of a support column. "This entire vertical structure is the same. It's not just one side (one column). That is definitely a weakness in the entire structure. Your bolts and nuts - the stuff holding it down - these have significant corrosion. This is worrisome." Walker stresses that while he is a structural engineer, he does not specialize in railways. As a professor, he knows his stuff, but emphasizes continually that a railway inspector really should have the final word on the state of the CN track that runs through the Elm West neighbourhood. With that caveat, he admits the cracks in the concrete pads, to which the support towers are bolted, are also concerning. "There is some deterioration in the concrete - we're getting some localized spalling," he says. "It's when the cracks get into the reinforcing steel that it becomes a problem. How deep these cracks go, I'm really not sure, but this could be coming to the point where they do have to do some remediation on it." At the base of the support column, the one rising along the western side of Beatty Street, piles of corroded metal - small shards and wedges the size of an adult palm - have collected like sawdust on the floor of a carpentry shop. The metal in those piles should be attached to the structure supporting the bridge overhead, not lying at its base. As we stand talking under the trestle, we easily pick off pieces of metal the size of maple leaves from the structure. "We have lost some steel at the base, which is where I'd expect to see that, because water tends to pool there," he says. "There is a fair amount of deterioration"¦ This should probably be assessed, because all the load from this particular column is coming down here, so the more metal you lose, the greater the stress on the (base) plate." I liken it, and he agrees, to lying on a bed of nails - the more nails there are, the less body weight (or stress) per nail. The fewer nails, the more stress on each unit.